I hope you are doing well. May is generally an intense month for me; this one is not an exception. We have visits from friends and family from all over the world, probably attracted by the golden Roman spring (and our company I suppose). At work is busy, people press the accelerator before summer, trying to have most things done before the inevitable summer slowdown due to the heat. And we are still looking for a house. We go through periods, moods, change of strategies but the reality is that it is not an easy task. We saw a house we liked last Saturday: we got excited, we felt the rush to buy it (given by the fear of losing a chance: estate agents make a living out of this stress) and in the end we decided that it wasn’t worth it, the house is not big enough. Changing house is time consuming, expensive and hard work. I am not sure it is worth it just to gain another small bedroom. In the meanwhile I keep dreaming about big, period houses with high ceilings and an outdoor space (about winning the lottery if only I was playing). This is a 1910 former church in Hawthorn, Australia, refurbished by Doherty Design Studio. The four level was transformed and adapted to meet the needs of a family but retaining some features of the old church. The result is a airy, modern, light, functional space but not boring. The attention to details and some architectural solutions, like the rounded ceilings and cabinets, the alternation of wood and stone, bespoken pieces of furniture, compensate the lack of colour. Is it for sale by chance? Because I would considering moving to Australia…..! If you want to see more white amazing interiors, don’t miss Ghiora Aahroni’s house, the photographer Paulina Arcklin’s home and the eccentric Hueso Restaurant in Mexico. 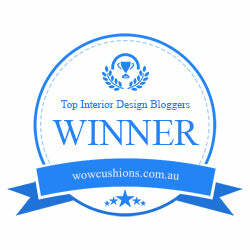 +deco, 12th best trending interior design blog!